How do you organize product management when there are multiple people involved with varying skill sets? How many product managers do you need? What are their roles in the company? Is product management a support role or a strategic one? How do you use the various product management titles such as product manager, product marketing manager, program manager, or product owner? Some product managers have a natural affinity for working with Development, others for Sales and Marketing, and some prefer to work on business issues. Finding these three orientations in one person is very difficult. Instead, perhaps we should find three different people who each possess one or more of these skills and have them work as a team. 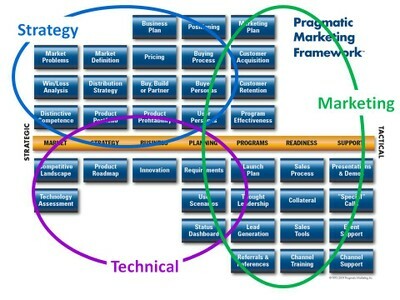 The product management triad includes a strategist, a technologist, and a marketer. Start with a business-oriented senior product manager responsible for product strategy. Make this person a director of products or product line manager (PLM). Now add a technology-oriented technical product manager (TPM) and a marketing oriented product marketing manager (PMM). Let’s look at an example of how applying the triad had success for a company of nine product managers and nine products, one product manager per product. The salespeople disliked some of the product managers and loved others. The ones the salespeople loved were hated by developers. Applying the triad, they created three product lines with a PLM for each and then assigned a TPM and PMM to each product line. Now, for each product line, one person concentrates on product strategy and the business of the product line, while another works with Development to build the best product, and another takes the product message to the channel by working with Marketing Communications and the sales team. Warning: Some companies attempt to put these three people in three different departments. They put the PLM into Sales to do business development; they put the TPM in Development and the PMM in Marketing Communications. This always fails. To work as a team, they must actually be a team. Having the TPM and PMM report to the same person, the PLM, minimizes conflict and overlap, giving the team a common objective. It has the added benefit of giving a new director the chance to learn to be a good manager of two people before getting five or ten people to manage. Product management teams provide career paths from entry-level positions to director, all within the product line. As shown in the graphic, these three positions overlap. This is deliberate. Execution of these tasks must be collaborative in order to succeed. For example, Win/Loss Analysis is an excellent data source for Positioning and the Buying Process. 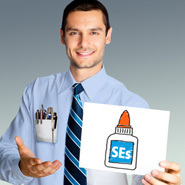 Your PLM and PMM ought to perform win/loss visits together to ensure you gain the most value. But do not confuse execution with ownership. Ownership of a task equates to accountability. As the executive leader of a team structured this way, the PLM is held accountable for win/loss analysis even when the TPM and PMM gather the win/loss data. Does this model make sense for you? The director of product strategy has a business-orientation and is responsible for the development and implementation of the strategic plan for a specific product family. They maintain close relationships with the market (customers, evaluators, and potentials) for awareness of market needs. This includes identification of appropriate markets and development of effective marketing strategies and tactics for reaching them. This person is involved through all stages of a product family’s lifecycle. The technical product manager is responsible for defining market requirements and packaging the features into product releases. This position involves close interaction with development leads, product architects, and key customers. A strong technical background is required. Job duties include gathering requirements from existing and potential customers as well as recent evaluators, writing market requirements documents or Agile product backlogs, and monitoring the implementation of each product project. The product marketing manager provides product line support for program strategy, operational readiness and on-going sales support. This position requires close interaction with Marketing Communications and sales management. Strong communication skills are a must. Duties include converting technical positioning into key market messages and launching new products into market. How you implement the product management triad depends on your organization and the skills of your team. Also consider having a role for your base technology or architecture for issues that span product lines. The “architecture” product manager can own acquisitions, third-party partnerships, and common tools needed across all product lines. Take inventory of the skills of each of the product managers. Create an organization chart of one triad per product line with no names assigned. Now try to move the business-oriented staff (usually your senior product managers) to the PLM positions, development-oriented product managers to TPM and sales-oriented ones to PMM. The remaining holes in your organization chart represent your new hiring profiles. 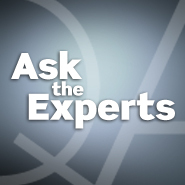 Ask the Experts: It seems like there is so much to learn in my new product role. Do you have any advice on where to start?